The wings of butterflies has always attracted people by its elegance, so images of these insects are often decorated with clothing and hair fashion, interiors and various objects, which they embodied in jewelry. 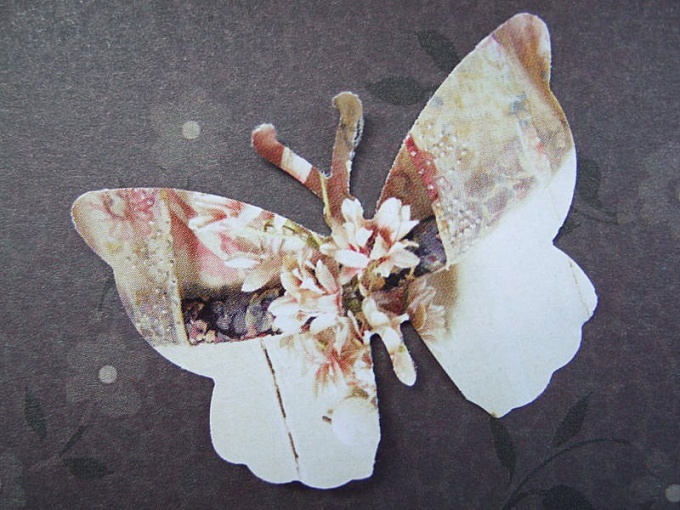 Make a simple butterfly out of paper with your child – this activity perfectly develops fine motor skills of hands. And the results of your collaborative effort may well be worthy to decorate the interior of the nursery. Several of these butterflies hanging on a thread or fishing line will be the original mobile and will flit in your home regardless of the time of year. Prepare the paper, if you have decided to paint it in different colors: draw on it simple patterns with wax crayons or paints. A very young child may simply "zakalebali" sheet colored pencils or crayons. Take the larger sheet of paper and fold in half diagonally, precisely aligning the opposite corners of a square. 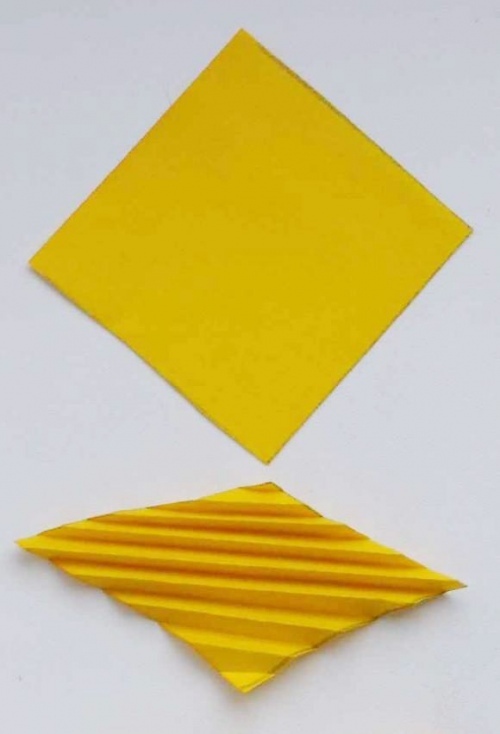 Then fold the folded piece back, but make the fold by 5 mm higher than the original. Follow the same steps as in the previous paragraph. Bend the upper part of the square as long as all of it will not turn into a "harmonica". In the same way bend the other half of the sheet. Top the butterfly's wings are ready. From the second paper square to the smaller size make the lower wings crafts. To do this, repeat the operations described in paragraphs 3-5 of this manual. Tighten both bellows to better hold the shape. Press the upper and lower wings folded toward each other and tape them in the middle with colored thread, thin wire or fishing line tightly and secure with a knot. If you hang your garland, leave the ends of thread or fishing line long enough. Spread the four halves of the wings, turning the folded accordion paper. The lower corners of the wings can be rounded by cutting them with scissors. Now make the body of the butterfly. It can cut paper or sculpt from clay. The size and shape of the torso determine, based on the size of the resulting wings. For the body of the paper cut of two identical parts. Put in between the butterfly wings and glue the two halves of the torso. Or elongated body shape of a butterfly out of clay and stick it to the wings. 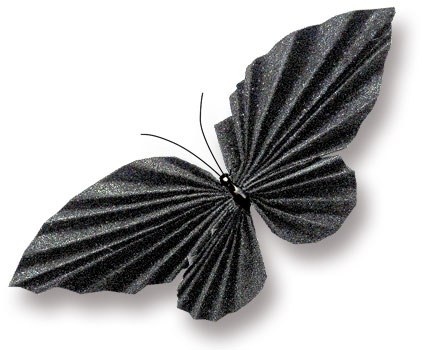 These butterflies can be made from many different materials: from colorful pages of magazines, candy wrappers, corrugated paper, cloth, impregnated with glue and others.